If you’ve ever been working hard in Sketchup only to realize something isn’t quite the right size, chances are you’ve probably messed around with re-scaling objects. 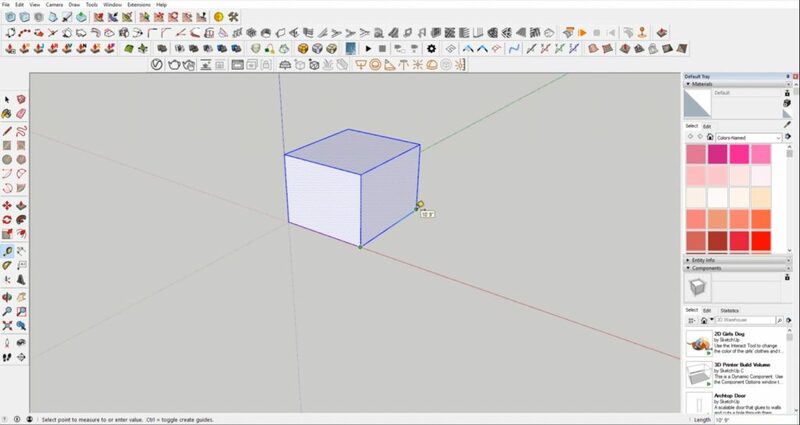 It can seem daunting and you may think it requires a lot of calculations, but in this tutorial, we’ll show you a simple way to scale in Sketchup without using any math! We’ll also show you how to scale just a portion of your model without it affecting everything else. Make a Box. First, use the rectangle tool to draw a square in your model. Then, use the push/pull tool to pull the square up and create a cube shape. From here, some people may measure the edge they want to resize and figure out what proportion they need to scale the shape by in order to get the desired length. This will certainly work and you can read on how to use proportions here, but why not save yourself the headache? There is a much easier way to scale in Sketchup! Measure. Triple click on one of the faces of your cube to select the entire shape. Select the tape measure tool and measure the edge you want to change the dimensions of by clicking once at the starting point and once at the end. Then, type the desired dimension in the “length” box in the bottom right corner. Click Yes. Once you hit “enter,” a slightly different message will appear asking if you want to resize the active group or component. Click “yes” and now only the group you selected will be scaled. 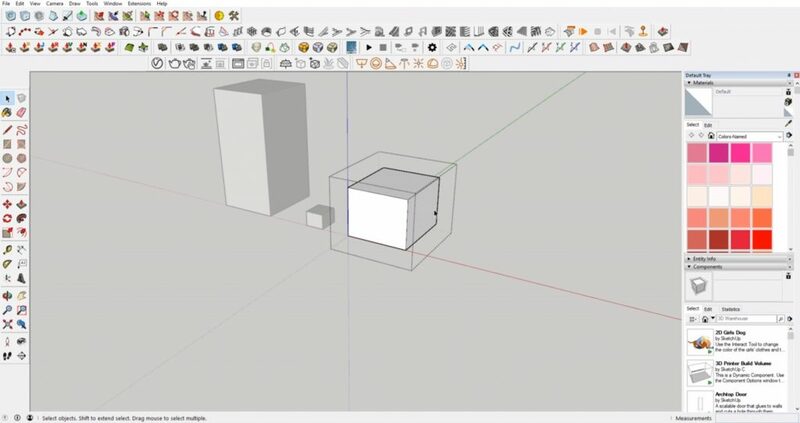 Now you have a quick and easy way to re-scale objects in Sketchup without the headache of dealing with proportions! 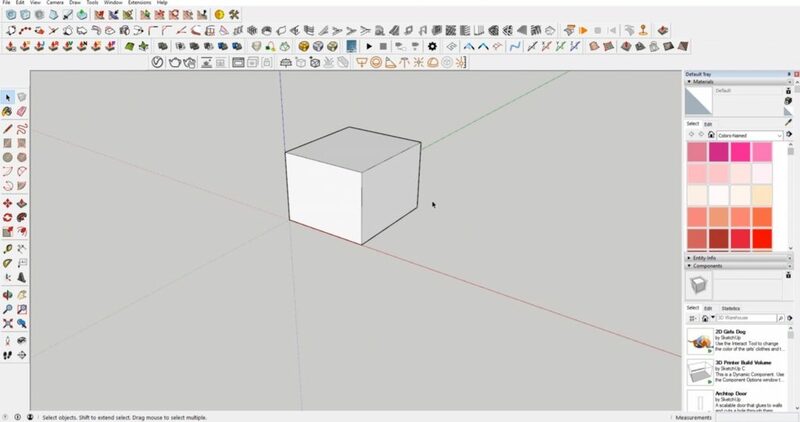 If you’re looking for more quick tips for Sketchup, check out our full list of tutorials here! What kinds of objects do you scale in Sketchup? Are there any other quick tips want to learn? Let us know in the comments below!